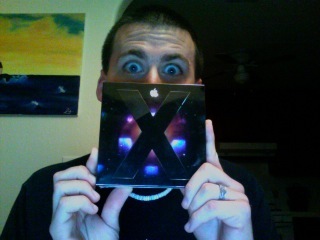 I’m finally about to install OSX Leopard on my Macbook Pro. Grrrrr. 2007 is over, the new year is here, it’s time to get with the times. So like I said, fill me in on what else I have to look forward. Do tell! I like stacking and spaces a lot. I like using the Cover Flow view too when searching for files and pics in my finder. Don’t ask me, I’m frustrated enough just getting use to this new iMAC!! !